Did not - the two used the same sample pack and TP made a great track out of it, BK not so. People should calm down & look into things before accusing and blaming. 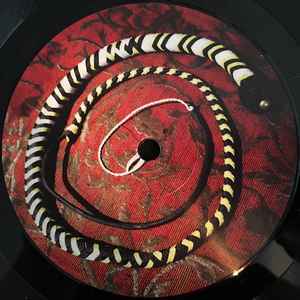 @lyckadj: but I was very unhappy that he just took my track without asking and pressed it on vinyl. I was totally surprised why Traumprinz aka Prince of Denmark needed to steal another track .. And to publish"
Now up on their website! Mothercave repress, Kettenkarussell new&repress, Traumprinz 02&06 repress, various Staub represses, Mind Over Matter repress, Edward repress, Reiling repress...be quick! Everybody has an off-day. This is Traumprinz's. When I first listened to this I honestly thought it was a joke. Got that sinking feeling when I realised it wasn't. He's made some incredible music, and I'm lucky enough to own some of it. This release proves he's human after all. Pretty quiet pressing. Kinda surprising cause I'd never noticed it on my other Giegling/Traumprinz stuff. Anyone else think the same? Like a talented sadist, Good Vibrations is irritating in a way that's both captivating and oddly satisfying. The track samples "Sweet Sensation" by Lloretta Holloway. 'Kasha' is probably another covert pseudonym he uses when he mixes his own tracks in certain styles.